For the Stripe Challenge & the Sketch Challenge at Operation Write Home. A new stamp from Unity that I am sure will get used alot as all the men in my family golfs. Golf balls are clipart from the computer and patterned paper is by Authentique. Hi Penny, what a lovely card! Cool golf balls and that cart - just great! Great card...love that image and papers...fun! Such a cute card! 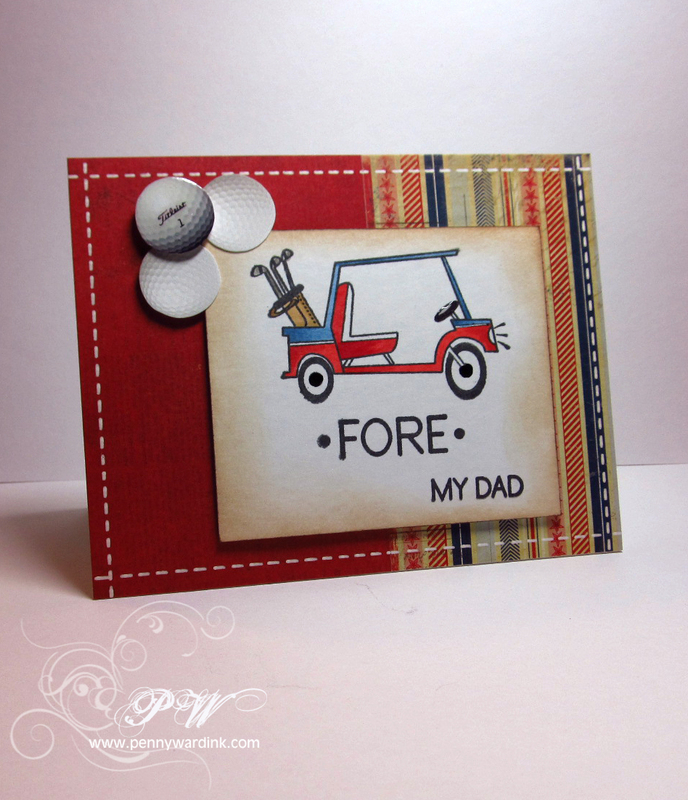 Love the golf balls as the three embellishments! Clever card! The colors go together nicely! Too cute. Love the stitching and the paper choices. Love the clip art gold balls- great idea! And the cart is so fun- great stamp! I like the papers you used- nice job! Terrific masculine card Penny. Really cute stamp and the play on words on the sentiment is too cute. Love how you used three golf balls as accents, and all the stitching. Thanks for playing in OWH's sketch challenge!